Last year, we celebrated Asian American and Pacific Islander Heritage Month by shining a spotlight on scientists whose work changed the world. These scientists share a common heritage that traces back to Asia or the Pacific Islands, but they share more than that—each of them had a passion for science that drove them to make history. Click here to see the inspiring figures we’ve previously highlighted. How do you begin to summarize the impact of a person like Dr. Ching Chun Li? We could start by talking about the time Dr. Li put his life in danger in order to continue teaching and studying genetics. But that might distract you from the fact that he was a gifted science communicator whose writing unified the disparate fields of statistics and genetics, ultimately changing how we approach genetic research. Just from these two examples, you can see that it’s difficult to fully describe someone who lived as influential and eventful of a life as Dr. Li. So, to keep it simple, we’ll just start by saying that Dr. Li is someone in the world of science you should definitely know. Of Dr. Li’s many accomplishments, one of the most discussed is his publication of Population Genetics—a textbook describing the emerging field of population genetics. This field of study focuses on a defined group of people and looks for patterns of inheritance within that group. There are many benefits to this type of research, but it requires a strong understanding of statistics and genetics. The complex integration of these two topics was difficult to teach and had prevented growth of the field. But in 1948, Dr. Li published his textbook which artfully explained how statistics can be used to predict and understand patterns of inheritance in a population of people. His ability to explain the topic in an approachable way catapulted the field of population genomics into the spotlight and was used to teach numerous generations of subsequent scientists1,2. Beyond its widespread impact on the scientific community, the publication of this textbook had other impacts as well. In 1949, the Communist Party took over in China, which espoused a belief that people only acquire traits through lived experiences, and these would then be passed onto subsequent generations. Such a form of inheritance was unsupported and disproven by science—specifically by the science that Dr. Li was teaching1-3. 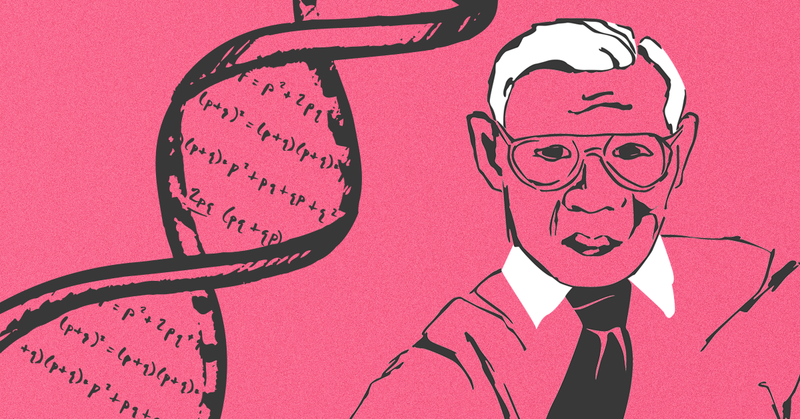 In other parts of the world, geneticists were being detained by communist governments and Dr. Li was faced with a choice: rescind his belief in genetics and begin to teach the communist form, or leave China. He chose the latter. After fleeing to safety, Dr. Li publicly spoke out about the persecution of genetics in China and eventually found refuge in the United States2,4. While in the U.S., Dr. Li continued his research and made several major contributions to science5. His ability to explain complex topics, particularly those involving math, enabled Dr. Li to influence numerous research projects. For instance, Dr. Li pioneered the use of biostatistics when designing clinical trials which allows a more practical, informative, and scientific approach to improving clinical care1. In the world of population genetics, Dr. Li helped develop a framework for parsing through a person’s genetic history—paving the way for modern day ancestry analysis, among other applications5. He also contributed to the development of equations that could be used to determine how likely it is that someone inherited a specific variant based on a relative’s DNA5. Put simply, Dr. Li was a prolific researcher whose findings continue to influence the world today. Dr. Li’s career was defined by his steadfast belief in science. By definition, science is the objective and methodical pursuit of knowledge. At the heart of this definition is the concept of independent thought. Throughout his life, Dr. Li emphasized the importance of keeping science free from emotional or political influence1,2,5,6. There are many examples in history where it was dangerous to practice such independent thinking, and Dr. Li lived through one of them. Despite the dangers, he continued to learn, teach, and speak about science, and those efforts would forever change the world. 1Spiess, Eliot B. “Remembrance of Ching Chun Li, 1912–2003.” Genetics 169.1 (2005): 9–11. Print. 2Chakravarti, Aravinda. “Ching Chun Li (1912–2003):A Personal Remembrance of a Hero of Genetics.” American Journal of Human Genetics 74.5 (2004): 789–792. Print. 6Li, C. C. “The Diminishing Jaw of Civilized People.” American Journal of Human Genetics 13.1 Pt 1 (1961): 1–8. Print.